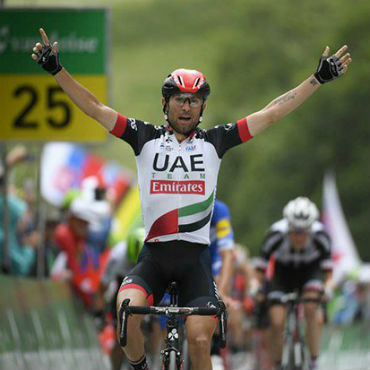 El italiano Diego Ulissi (UAE-Team Emirates) fue el vencedor este miércoles de la quinta etapa del Tour de Suiza y Richie Porte (BMC) se proclamó como el nuevo líder. La jornada se disputó entre Gstaad y Leukerbad sobre 155 kilómetros. 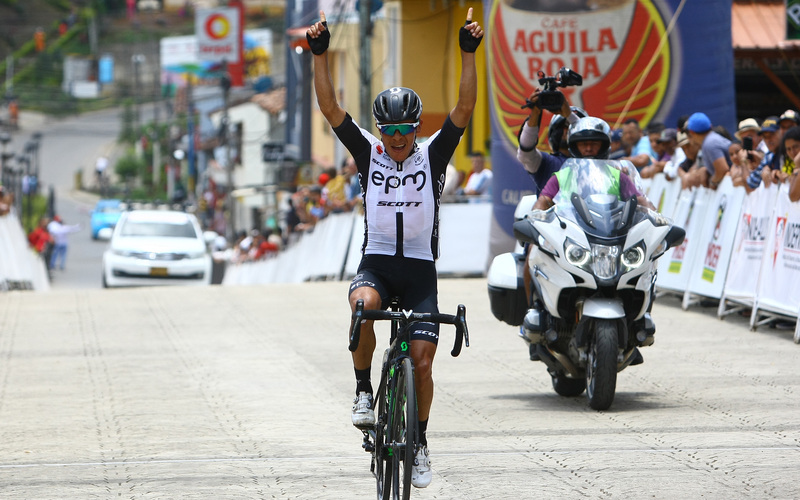 Nairo Quintana (Movistar) fue séptimo con el mismo tiempo de ganador. Cuando se esperaba ver en la línea de meta primero al español Mikel Landa (Movistar), quien protagonizó un ataque a 3,5 Kilómetros de la raya de sentencia, el gran vencedor fue Diego Ulissi, quien superó a Enric Mas (Quick-Step Floors) y al holandés Tom-Jelte Slagter (Dimension Data), segundo y tercero respectivamente. Mikel Landa fue capturado a 200 metros de la llegada, viendo aplazado su posible triunfo. Por su parte el suizo Stefan Küng (BMC Racing), cedió su casaca de líder tras cruzar la meta a más de 3 minutos. Este jueves se llevará a cabo la sexta fracción entre Fiesch y Gommiswald sobre 186 kilómetros con final en un puerto de montaña de tercera categoría. 2 MAS Enric Quick-Step Floors m.t. 3 SLAGTER Tom-Jelte Dimension Data m.t. 4 KELDERMAN Wilco Team Sunweb m.t. 5 MOLLEMA Bauke Trek – Segafredo m.t. 6 SPILAK Simon Team Katusha – Alpecin m.t. 7 QUINTANA Nairo Movistar Team m.t. 8 PORTE Richie BMC Racing Team m.t. 9 OOMEN Sam Team Sunweb m.t. 10 LAMBRECHT Bjorg Lotto Soudal m.t. 11 KRUIJSWIJK Steven Team LottoNL-Jumbo m.t. 12 HAIG Jack Mitchelton-Scott m.t. 13 FUGLSANG Jakob Astana Pro Team m.t. 14 IZAGIRRE Ion Bahrain Merida Pro Cycling Team m.t. 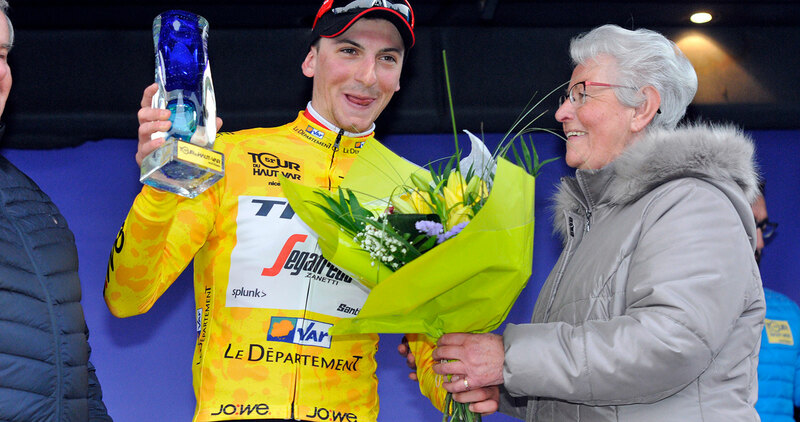 15 FRANK Mathias AG2R La Mondiale m.t. 17 VICHOT Arthur Groupama – FDJ m.t. 20 KANGERT Tanel Astana Pro Team m.t. 21 AMADOR Andrey Movistar Team m.t. 25 BOUWMAN Koen Team LottoNL-Jumbo m.t. 26 SANTAROMITA Ivan Nippo – Vini Fantini – Europa Ovini m.t. 27 VAN GARDEREN Tejay BMC Racing Team m.t. 28 IZAGIRRE Gorka Bahrain Merida Pro Cycling Team m.t. 29 HANSEN Jesper Astana Pro Team m.t. 31 POLANC Jan UAE-Team Emirates m.t. 32 MONFORT Maxime Lotto Soudal m.t. 33 MÜHLBERGER Gregor BORA – hansgrohe m.t. 34 GAUTIER Cyril AG2R La Mondiale m.t. 41 GESCHKE Simon Team Sunweb m.t. 43 HENAO Sebastián Team Sky m.t. 45 LAMMERTINK Maurits Team Katusha – Alpecin m.t. 46 VAN AVERMAET Greg BMC Racing Team m.t. 47 GILBERT Philippe Quick-Step Floors m.t. 48 ROJAS José Joaquín Movistar Team m.t. 49 BURGHARDT Marcus BORA – hansgrohe m.t. 50 KONRAD Patrick BORA – hansgrohe m.t. 51 TAARAMÄE Rein Direct Energie m.t. 54 ARNDT Nikias Team Sunweb m.t. 58 SMIT Willie Team Katusha – Alpecin m.t. 60 HAAS Nathan Team Katusha – Alpecin m.t. 61 DE LA PARTE Víctor Movistar Team m.t. 62 FRAILE Omar Astana Pro Team m.t. 63 HANSEN Adam Lotto Soudal m.t. 64 QUEMENEUR Perrig Direct Energie m.t. 65 WYNANTS Maarten Team LottoNL-Jumbo m.t. 66 STUYVEN Jasper Trek – Segafredo m.t. 67 BATTAGLIN Enrico Team LottoNL-Jumbo m.t. 68 LE GAC Olivier Groupama – FDJ m.t. 69 GONÇALVES José Team Katusha – Alpecin m.t. 72 LAMPAERT Yves Quick-Step Floors m.t. 73 DAVIES Scott Dimension Data m.t. 74 OURSELIN Paul Direct Energie m.t. 75 STANNARD Ian Team Sky m.t. 76 OSS Daniel BORA – hansgrohe m.t. 77 BENNATI Daniele Movistar Team m.t. 78 DE MARCHI Alessandro BMC Racing Team m.t. 79 ANDERSEN Søren Kragh Team Sunweb m.t. 82 BEWLEY Sam Mitchelton-Scott m.t. 83 ROSA Diego Team Sky m.t. 84 DOMBROWSKI Joe Team EF Education First-Drapac p/b Cannondale m.t. 85 DOULL Owain Team Sky m.t. 86 ALBASINI Michael Mitchelton-Scott m.t. 87 GOŁAŚ Michał Team Sky m.t. 91 DE KORT Koen Trek – Segafredo m.t. 92 ZACCANTI Filippo Nippo – Vini Fantini – Europa Ovini m.t. 93 CIMOLAI Davide Groupama – FDJ m.t. 94 VANDENBERGH Stijn AG2R La Mondiale m.t. 95 GRELLIER Fabien Direct Energie m.t. 96 BRESCHEL Matti Team EF Education First-Drapac p/b Cannondale m.t. 97 THEUNS Edward Team Sunweb m.t. 98 TROIA Oliviero UAE-Team Emirates m.t. 99 RAST Gregory Trek – Segafredo m.t. 100 SAGAN Juraj BORA – hansgrohe m.t. 101 GUARNIERI Jacopo Groupama – FDJ m.t. 102 DECLERCQ Tim Quick-Step Floors m.t. 103 GERRANS Simon BMC Racing Team m.t. 104 SWIFT Ben UAE-Team Emirates m.t. 105 CHRISTIAN Mark Aqua Blue Sport m.t. 106 KEISSE Iljo Quick-Step Floors m.t. 107 DE BUYST Jasper Lotto Soudal m.t. 108 VAUGRENARD Benoit Groupama – FDJ m.t. 109 HALVORSEN Kristoffer Team Sky m.t. 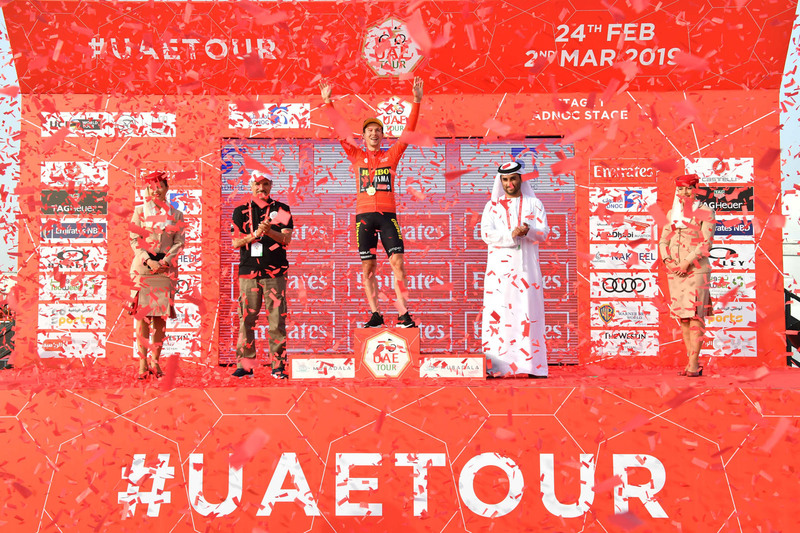 110 KRISTOFF Alexander UAE-Team Emirates m.t. 111 MARANGONI Alan Nippo – Vini Fantini – Europa Ovini m.t. 112 SAGAN Peter BORA – hansgrohe m.t. 113 VERMOTE Julien Dimension Data m.t. 114 JANSE VAN RENSBURG Reinardt Dimension Data m.t. 115 DOUGALL Nick Dimension Data m.t. 116 DUNBAR Edward Aqua Blue Sport m.t. 117 ANTON Igor Dimension Data m.t. 118 SIEBERG Marcel Lotto Soudal m.t. 119 PEARSON Daniel Aqua Blue Sport m.t. 120 WELLENS Tim Lotto Soudal m.t. 121 DENIFL Stefan Aqua Blue Sport m.t. 122 VANMARCKE Sep Team EF Education First-Drapac p/b Cannondale m.t. 123 GROSU Eduard Michael Nippo – Vini Fantini – Europa Ovini m.t. 124 CUNEGO Damiano Nippo – Vini Fantini – Europa Ovini m.t. 125 SINKELDAM Ramon Groupama – FDJ m.t. 126 DÉMARE Arnaud Groupama – FDJ m.t. 127 BROWN Nathan Team EF Education First-Drapac p/b Cannondale m.t. 128 SCHAR Michael BMC Racing Team m.t. 129 GAVIRIA Fernando Quick-Step Floors m.t. 130 COLBRELLI Sonny Bahrain Merida Pro Cycling Team m.t. 131 KONING Peter Aqua Blue Sport m.t. 132 BODNAR Maciej BORA – hansgrohe m.t. 133 RICHEZE Ariel Maximiliano Quick-Step Floors m.t. 134 LEEZER Tom Team LottoNL-Jumbo m.t. 135 ITO Masakazu Nippo – Vini Fantini – Europa Ovini m.t. 136 FERRARI Roberto UAE-Team Emirates m.t. 137 GREIPEL André Lotto Soudal m.t. 138 DEGENKOLB John Trek – Segafredo m.t. 139 WATSON Calvin Aqua Blue Sport m.t. 140 PHINNEY Taylor Team EF Education First-Drapac p/b Cannondale m.t. 141 HATSUYAMA Sho Nippo – Vini Fantini – Europa Ovini m.t. 142 BOUDAT Thomas Direct Energie m.t. 143 KREUZIGER Roman Mitchelton-Scott m.t. 144 HEPBURN Michael Mitchelton-Scott m.t. 3 OOMEN Sam Team Sunweb m.t. 11 AMADOR Andrey Movistar Team m.t. 15 MOLLEMA Bauke Trek – Segafredo m.t. 41 BERNARD Julien Trek – Segafredo m.t. 109 LEEZER Tom Team LottoNL-Jumbo m.t.